Behind The Blue Wall: [MI] BRUTAL, FIRED-BUT-STILL-LETHALLY-TACTICAL EX-COP DAVID ESSAD ARRESTED AGAIN. 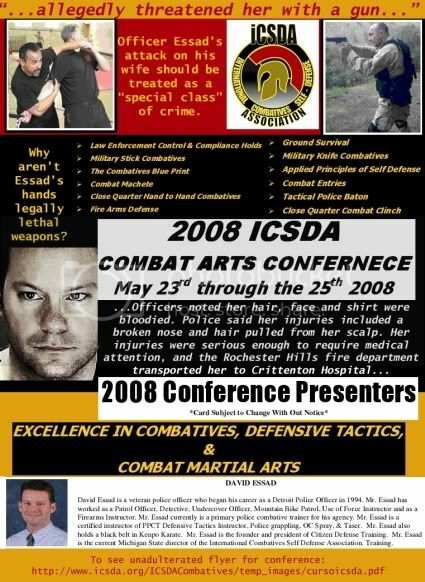 [MI] BRUTAL, FIRED-BUT-STILL-LETHALLY-TACTICAL EX-COP DAVID ESSAD ARRESTED AGAIN. 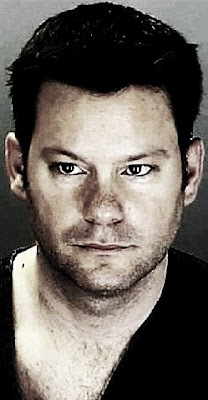 DAVID ESSAD, FORMER SHELBY TOWNSHIP POLICE OFFICER, WAS ARRESTED AGAIN. IT WAS THE SAME VICTIM. IT'S GOOD TO KNOW EVERYONE IS STILL ALIVE. IF YOU HAVE INFO TO SHARE WITH THE BLOG, DO. Per the Oakland Count Circuit Court Index register of actions his hearing date changed from 9/2/2009 to December 2, 2009 at 1:30 PM. They were actually dumb enough to have a picture of him on the website!!! I hope he's training them to protect them from people like himself! It pains me to thiunk that he's making ANY money related to personal protection!!! I am all for him being employed, and being employed outside of direct law enforcement. It makes sense that he would be working in what he knows and what he appears to be good at. It would have been very dangerous to his sense of entitlement if he had stayed in law enforcement. Getting a job outside of law enforcement is what I hope people like David will do.